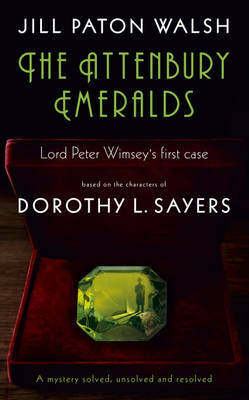 Reading in The Times of the death of Lord Attenbury, Lady Peter Wimsey enquires of her husband Lord Peter Wimsey the story of the Attenbury Emeralds, as she thought that his first case was the Attenbury diamonds. Peter says that to relate the story in its fullest detail he needs his man Bunter, and so in elegant conversation the original story of the Attenbury Emeralds is unfolded. Although, the story of the emeralds is set in 1921, it rears its head again in the current day, that being 1951, when the present Lord Attenbury needs to sell the emeralds for Estate duty, and there is now a problem with their provenance. So Peter is plunged back into duplicity and murder as he retraces the path of the emeralds over the last thirty years. Apart from an engrossing mystery, Jilll Paton Walsh does justice to the post war period and the class changes that the war had set in motion. There are some surprising twists and a satisfying conclusion. I highly recommend it.